Put a little love in your heart (or someone else's) with this unusual charm. 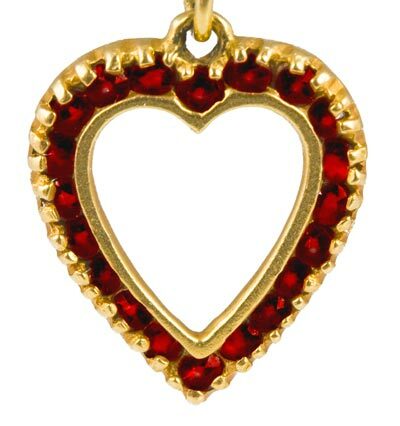 This 14K gold heart is ringed with synthetic rubies. A perfect Valentine's Day, wedding, engagement, or anniversary gift for that special bride. Tests 14K. 19.2mm (0.76in.) tall, including the bail. Weight 1.6 grams.